What does it mean to be respectable? Do men these days want to be respected? Do they care? Does it matter? The Greek word translated respectable means “orderly” or “modest.” Honestly, “boring” comes to mind. Here’s a man who washes his car weekly, mows his lawn on the same day of the week in the same pattern, has a favorite breakfast spot where the waitress knows him by name, and of course, he orders the same thing each morning, has a garage floor you can eat off of, who writes out his check to the church with one hand as he receives his paycheck with the other. 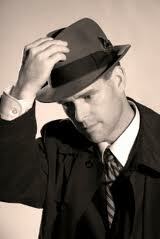 In the 1950s, this man wore a suit and hat to work, and always shined his shoes the night before. Get the picture? Well I think Paul had more in mind here. Combing my mind for a good example of an orderly man I remembered Daniel. Three things about him stood out. He possessed an “extraordinary spirit,” he was faithful, and he was not negligent. 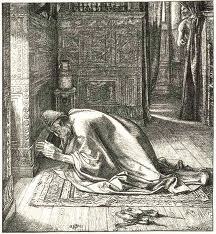 When the decree went out to worship only the king, as was Daniel’s habit, he went into his chamber with windows wide open and prayed to his God. The people must have regularly observed this practice, so his adversaries knew their plan to bring him down would work and it did, until God intervened. A respectable man in the Lord’s eyes is one who has the God of order at the center of his life and lets him shine through. His checklist is his checklist, and he works it without fanfare. This entry was posted in Devotionals, Principles, The Basics, The Timothy Project and tagged 1 Timothy 3:2, Daniel 6, order, orderly, respectable. Bookmark the permalink.